PM : After lunch, boat trip to visit Tam Coc to see the beauty of the karst formations as you pass along their base and row into one of the many caves carved through the limestone. 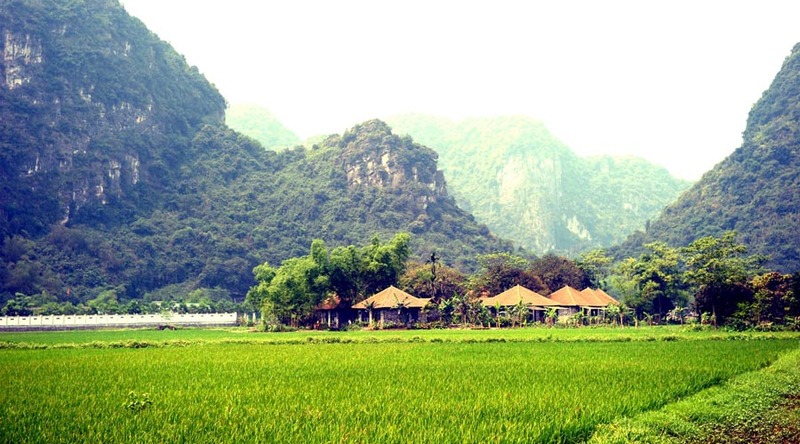 Then, cycle for an hour on quiet roads through villages, rice fields, rivers and rocky outcrops in Tam Coc – Bich Dong (around 5 km). Dive back to Ha Noi and drop off at your hotel around at 18:00PM. Excluded: Accommod ation, Visa arrangement, drinks, travel insurance, personal expenses. – Surcharge 50% rate of adult for children (5-11 years) sharing bed with parents. Note: After boat trip on the river, the boat rower always expect the guest’s tip about 1$ or 2$.